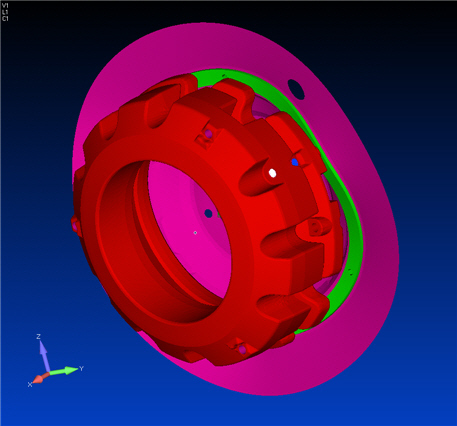 It is generally recognized that pre- and post-processing is an important and integral part of performing a finite element analysis. An engineer is likely to choose a pre- and post-processor that is most effective for his or her type of analyses in terms of ease of use, features, availability, performance and price. Also, an analyst that is already familiar and satisfied with a pre- and post-processor will probably want to continue using the same program, although the use of another solver may be an important issue. Hence, we realize the need to make the ADINA solution capabilities work with many other third-party pre- and post-processors, as presented in an ADINA News. In that News, we illustrated how ADINA can already work with Femap through the Nastran input and op2 files. To use Femap with ADINA, only Femap Unisol is needed. Femap Unisol is the full Femap program with the translators to the other finite element solvers turned off via licensing, and it is about half the price of Femap. However, exchanging data with Femap using the Nastran format only allows access to certain ADINA structural analysis capabilities. Linear and nonlinear, large deformations and strains, static, implicit and explicit transient, various nonlinear material models, contact and glueing. Frequencies and mode shapes with or without contact or glueing, mode superposition in linear and nonlinear analyses, crash and crush simulations. Incompressible flow, laminar and turbulent flows, with or without heat transfer, wall, inlet and FSI boundary conditions, initial conditions, sparse and algebraic multigrid solvers. 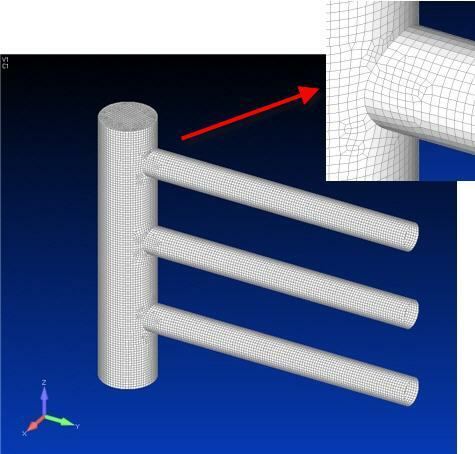 CFD analysis is run first and the forces exerted by the fluid on the structure at the FSI boundaries are used in a subsequent structural analysis to compute the displacement and stresses in the structure. 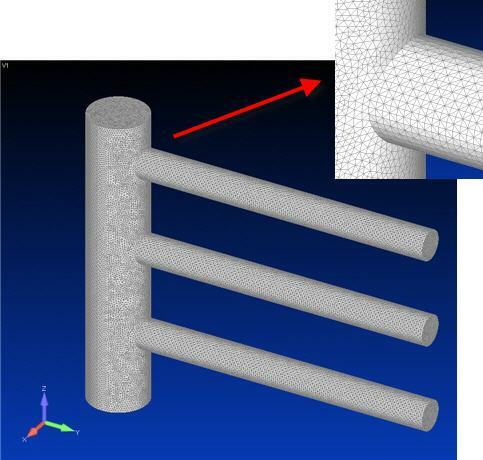 Completely different meshes can be used for the structure and the fluid, which is an important requirement because the CFD solution requires generally different and many more elements than the structural solution. 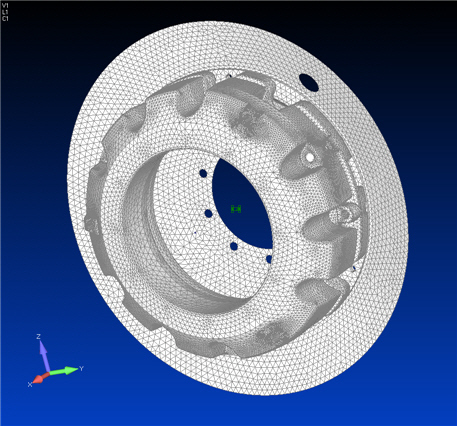 We are excited that many advanced capabilities in ADINA can now be accessed directly through Femap. Hence analysts who are familiar with Femap can easily use ADINA for structures, CFD and FSI. 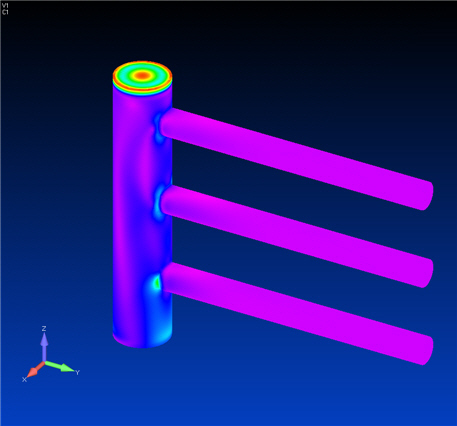 This first release still has limitations; for example, compressible flow or two-way FSI analyses, while available in ADINA, are not yet available through Femap. For tutorials on the use of the ADINA Femap interface, see 1 and 2. We are continuing our efforts to strengthen the interface because we believe that the use of Femap with all capabilities available in ADINA will provide a very powerful analysis tool.